Capt. Carl Schloderer was live-baiting at the VV-buoy on the NORTHERN LIGHTS when he hooked a monster marlin for Kelly Everette who was using 30-lb test tackle. 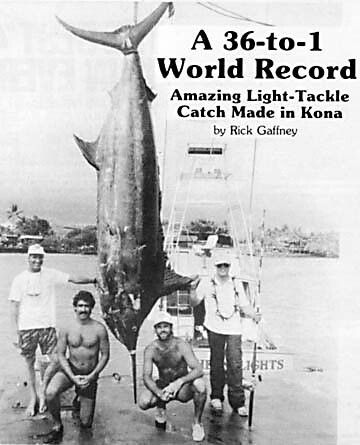 Kelly fought the fish for 1 hour and 45 minutes before boating it and setting an IGFA world record.